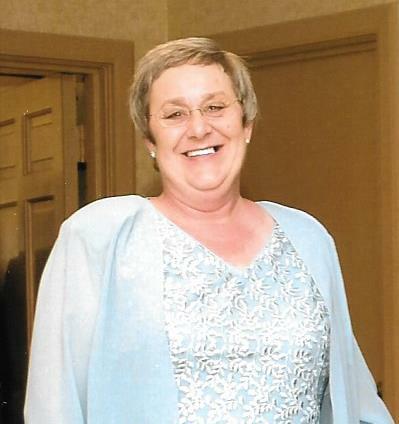 Obituary for Barbara Ann Schmotzer | Thomas J. Gmiter Funeral Home, Inc.
Of West Mifflin, Barb was born on April 28, 1952 and passed away peacefully after a brief battle with cancer on Sunday, March 31, 2019. Barb is survived by her husband, David Schmotzer; a son, Mathias (Mary) Schmotzer of Indiana; a daughter, Monica (David) DePaul of Pittsburgh; a brother, John (Sue) Grzesiuk of Kirkland, WA; and a brother-in-law, Greg (Maureen) Schmotzer of Carnegie. The joys of her life, her Angel Girl, Mia Grace Schmotzer and her Bubbalicious, Tyler William Schmotzer. Her granddogs, Penny and Piper DePaul and Sidney Schmotzer. She is preceded in death by her mother, Mary Elizabeth Grzesiuk; her uncle and aunt, Waldo and Stella Stojko; mother and father-in-law Marian "Minx" and George Schmotzer. Barb lived her life to the fullest, she found the good in every person she met. She loved anytime spent with her loving family. Friends received Tuesday 1-8 PM in Thomas J. Gmiter Funeral Home, Inc. 2323 E. Carson St. Funeral Prayer Wednesday 9:30 AM, Mass of Christian Burial in Holy Angels Church at 10:30 AM. In lieu of flowers, donations may be made to Allegheny Heath Network: Oncology Department, Office of Fund Development, 4818 Liberty Ave. Pittsburgh, PA. 15224.